somewhere between 10-12 years ago. We live in a house that has a brick front complete with an archway. we just stared at it and then went inside. We took pictures and our uninvited yet welcome guest lodged upon brick for a day and a half. it was gone as quietly as it had arrived. Now you have to also understand that I love dragonflies as well as ladybugs. 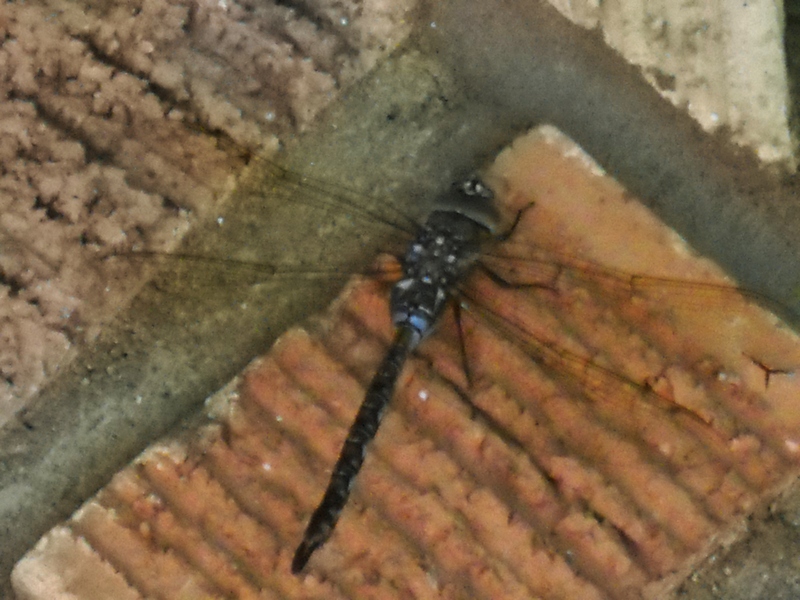 I thought it was quite cool and I dubbed our house the dragonfly house. But like I said, this was years ago, I don’t think the message was widely broadcast. That was until this past week, when it happened again. Now we have one more child. peering up on our front porch. This time it was WAY above our front door. It stayed in this position for about a day. Then on the second day, it moved opposite of the door to the archway. I Googled to see why this might happen. I didn’t find a lot of information but one answer caught my attention. Dragonflies need to stop and rest, just like everyone else. They need to rest, just like you, just like me. Why should I be surprised that they can’t just fly endlessly? The need for rest became very clear this past weekend. the farther away it appeared. and the pace of life in general but somewhere and somehow rest slipped away. At some point, the overflow must slow to a trickle. fell to Friday at about 10:30pm. Late night decisions are rarely wise. that seem logical including the wrong one. Google Maps let me down. Actually my directions directed me fine. They just didn’t direct me to where I needed to be. Once again literally and figuratively. I will say that no matter the reason, prayer does work. I found my way to a place called Shepherd’s Rest. I truly could not make that destination up. It’s nice to be welcomed when one has been lost. They simply were glad to see me. looks for and loves lost sheep. realize the need to stop and rest. The funny thing is that our family didn’t bother that dragonfly. that it was doing what it was designed to do. I think we all need times of undisturbed rest. I know that I must be more mindful and intentional. To rest more on Sundays. To say no and not feel selfish. To take a walk. One author writes of taking a Sabbath walk. revelation. Simply letting your soul catch up with you. I do that don’t have purpose and productivity written in red. calories, and on and on. It rarely is just to simply be. I think I missed the point of desiring to live a life that overflows. also to rest. Some translate the word pray as “time of rest”. We can’t be abundant when we our souls are lacking. He guides me in paths of righteousness. You prepare a table before me. do not allow the Him to ministry to me. Rest originates and completes itself in God. The beauty is that He wants to do it for me. It is not a burden or imposition for Him. He is beckoning me to His rest. He will be glad to see me. A bit humbling but true. God is making me lie down. Are you in need of some rest as well? you find the space for rest. terrain and cool refreshing waters. Hi ladies…glad that there was encouragement to rest…I will be praying that you each get some pleasant unexpected patches of rest. Excellent, now be sure to take your own advice. oh…I’m so convicted….but in a very sweet and gentle way. 🙂 Thank you Helen, for this reminder. It is beautifully written as always. I needed to hear this and it gives me both hope and encouragement.